Introduced in 1987, the Delta HF Integrale 8v combined the radness of the Delta Turbo with the rallyness of the Delta AWD and made a seriously awesome Lancia hatchback. The 8v was the start of something legendary. 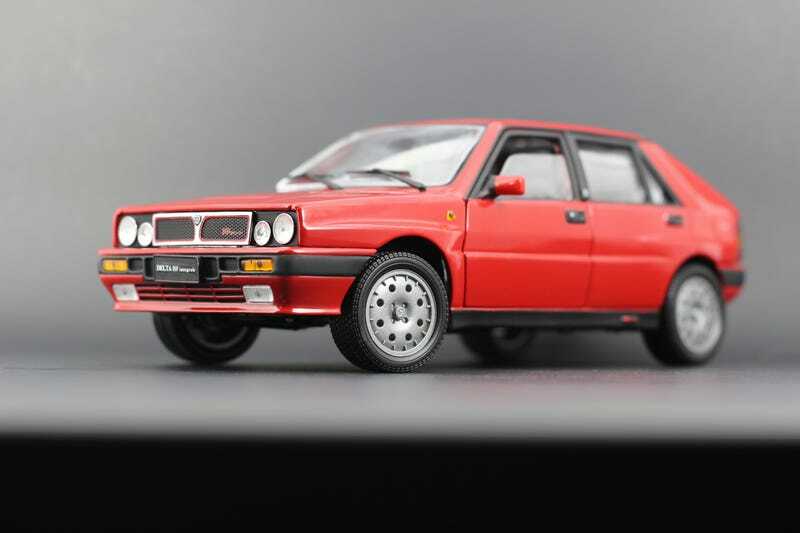 Lancia was already enjoying a lot of success with they little Delta hatchback since production began in 1979. It won car of the year in 1980, and Lancia quickly applied their famous HF badge to the car, making it “hot”. The company decided to take the car rallying, but Group B was cancelled right in the midst of their plans. The HF AWD Delta was the first to receive racing duty, winning the 1987 WRC. This lead to further development of the Delta into rallying beast, and resulted in some very impressive homogolation specials for the street. This is the Delta HF Integrale 8V, made by Sun Star. The 8V was the first of a line of the little rally monster Lancias. The new 8V engine made 182hp and was over a second faster to 60mph than the outgoing HF AWD. Two years later, Lancia would drop a 16V engine into the Delta and would add things like more aggressive box flares on the fenders and a huge bulging hood. These upgrades would lead to the ultimate versions of the Delta, the Evo and the Evo II. Obviously, the Kyosho Evoluzion models would have been the ones to get for my collection, but I think I’d like to keep both my kidneys right now. At the time, the 8V model was cheaper than the 16V model, so that’s the one I got. These Sun Star models offer pretty good bang for your buck. They are surprisingly detailed for their budget friendly price-point. As long as you aren’t a perfectionist, you’ll be happy with their models. Inside, you’ll find a totally rad seat pattern! The seats fold forward and the windows are cracked open too. Under the front bonnet, you’ll find that 8V motor represented by a lump of plastic painted with a few different colors. Sadly, neither the rear doors nor the back hatch open, but its still a solid model all things considered. I got this one as a Christmas gift from my in-laws this past winter, and its packed happily next to my Sun Star Stratos and my Kyosho 037.